How do I load a draft version I saved? Click "Load Message or Draft" at the top of the "Compose Newsletter" wizard. You can also load or manage drafts by choosing "Drafts" in the menu on the left. 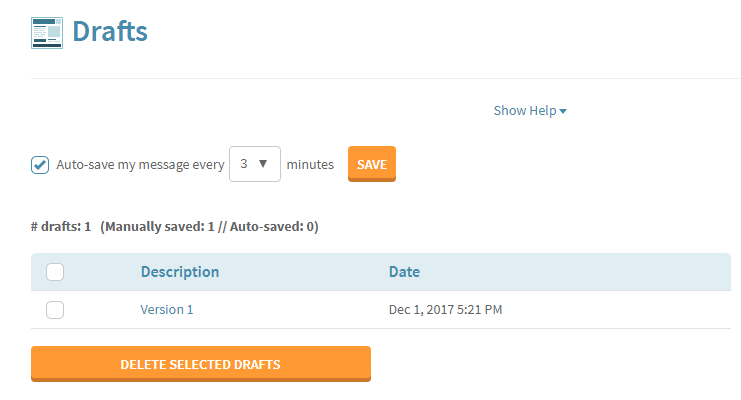 Auto-saved drafts can only be retrieved from this "Drafts" page.